Everything regarding claiming your DAPS tokens is explained in this article. Please ensure you read the whole guide as to avoid any confusion or following the wrong steps. 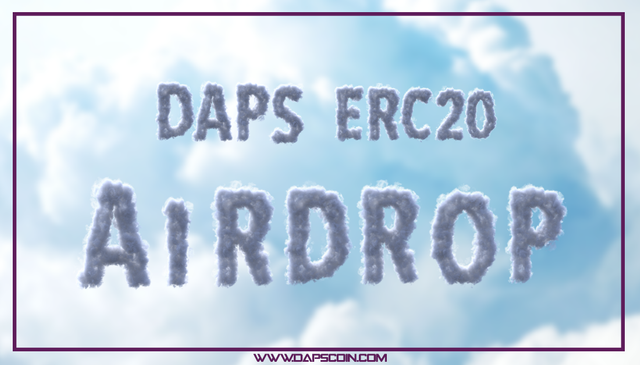 The ERC20 DAPS token airdrop applies to people who held Peepcoin on 06/27/2018 at 02:00 UTC, or Peepcoin block 1120535. What is "ERC20"? Is a token like a coin? 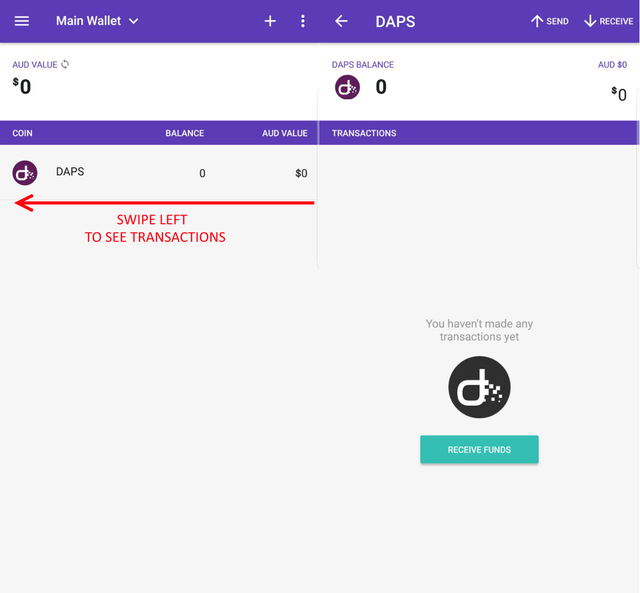 The DAPS token is an Ethereum-based token. 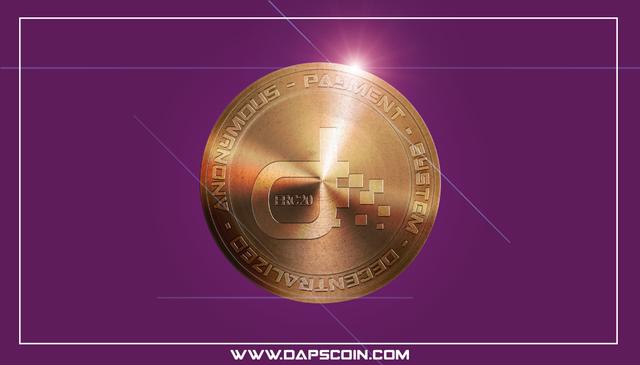 It will serve as a placeholder until the DAPS Coin main net is completed. ERC20 tokens are different to typical cryptocurrencies. Tokens are digital assets based on an existing blockchain, Ethereum’s ERC20 token and smart contract system being the most popular. “Coins” are independent blockchain currencies whereas “tokens” are dependent on another established blockchain. Tokens require their own wallets which also has Ethereum compatibility. To store the ERC20 DAPS token, you must have an Ethereum address on a wallet which also offers ERC20 token capability. An example of this is the Enjin Wallet and MyEtherWallet. We will need your Ethereum/ERC20 wallet address to send you your DAPS tokens. 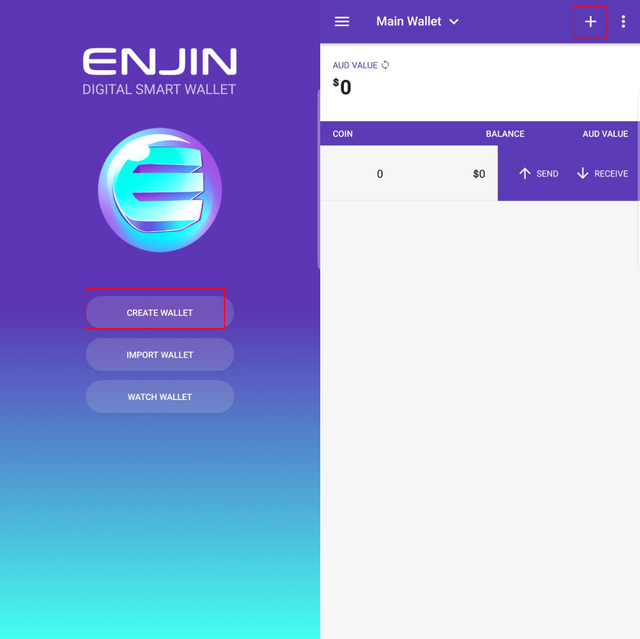 First, create your ENJIN wallet, and press the "+" on the top-right to add a custom token. 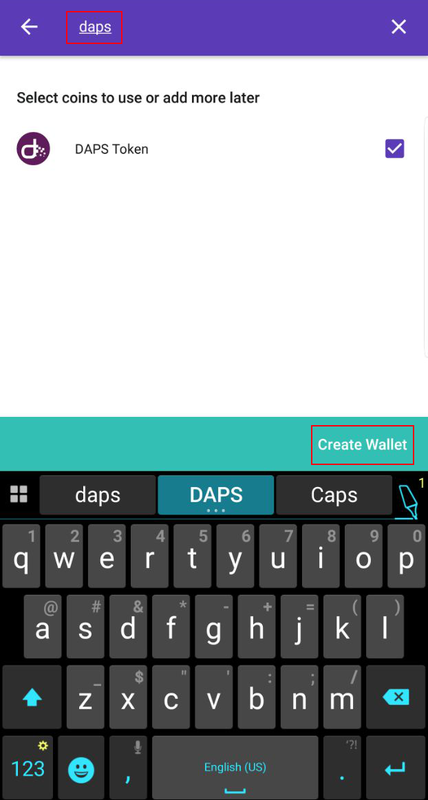 Then search "DAPS" and add the "DAPS" token by pressing "CREATE WALLET"
Tap on the new "DAPS" icon in your wallet. You will be shown your token address. If you'd like to see your DAPS token transfers, swipe left on the icon. Am I eligible for the DAPS token airdrop? Your Peepcoin address MUST have had a balance on 06/27/2018 02:00 UTC to be eligible. 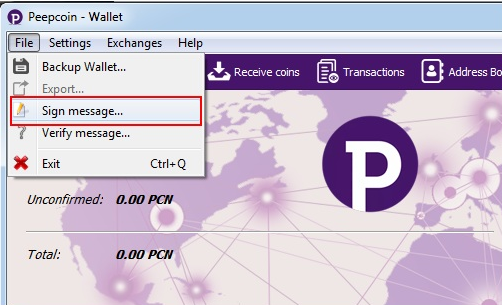 The process to claim your DAPS tokens will be different depending on if you held Peepcoin on a personal wallet or an exchange wallet. If you held Peepcoin on a personal wallet, the claim process will be very similar to the original swap process. 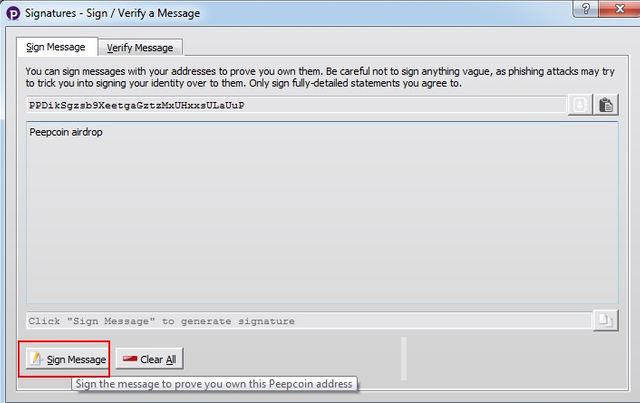 You will need to sign your address using the Peepcoin wallet’s built in “Sign message” feature, this way you can prove you own the address. Since only the owner of an address can sign for it this way, we will know you’re the real owner. Then your address will be checked, and if it had a balance on the snapshot, you’re eligible to receive DAPS tokens! If you held Peepcoin on an exchange wallet, the claim process will require much more work from us to verify. To prove you own an exchange Peepcoin address, you must give us certain information we can use to back check and ensure you are the owner of the address in question. To prove you own an exchange wallet, you will be required to provide the email you used to sign up to the exchange with as well as a full picture of your transaction and trade logs. This is so we can confirm you own the account and that it had Peepcoin on the snapshot. How do you prove you own a personal (PC) wallet? 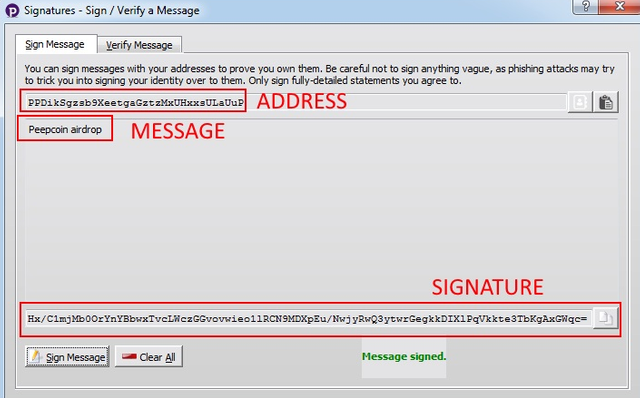 You must sign an address using the built in wallet “Sign Message” feature. The “SIGNATURE” will now appear in the SIGNATURE field. Next, copy the ADDRESS+SIGNATURE. This is critical identifying information required to prove you are the owner of this address. If you have signed using an address that held Peepcoin on the snapshot, you will be given DAPS tokens. So, for PERSONAL (computer) wallets, the claiming process is simple. You must simply prove you owned the address using the Peepcoin wallet’s built in signing feature. Personal wallet claimants will be the fastest and easiest to process. Next, we move to EXCHANGE claiming, which is much more complex and requires a lot more effort by us to verify. How do you prove you owned a Peepcoin wallet with a balance on the snapshot? To do this, you must provide certain important information to check if you really are the owner of the account and that it did hold Peepcoin. Because an exchange wallet address on the block explorer may not directly reflect the actual balance held by the user. So we will need to manually verify that you a) own the exchange account and b) verify the amount you held on the snapshot. Screenshot your profile, showing the email you used to sign up to the exchange with. Go to your “transactions” screen. Screenshot ALL confirmed withdrawal and deposits for Peepcoin. Go to your “trades” (orders) screen. Screenshot ALL Peepcoin trades (buys/sales, including full screen). Your email will be double-checked and verified. Your transfers and trade logs will be used to calculate your actual Peepcoin balance at that time. If EMAIL verified and Peepcoin balance confirmed, you will be eligible for a 1:1 airdrop of DAPS tokens. NOTE: If your exchange does not show an "email" on the site, you must show an email you have received from the exchange using the email address you're claiming from. For CRYPTOBRIDGE, there is no email, but an identifying username. The EXCHANGE claim process requires manual verification from our team. Be aware exchange users will be the slowest to be processed, and we will be very strict with the requirements. Any anomalies in your claims will likely result in rejection. We request that people claiming DAPS token research and learn the process to help us process you in a much faster way. Any errors or mistakes will slow down the processing time. If we discover any photoshopping or manipulation in your entries it will result in your claim being rejected. If held Peepcoin on snapshot, user is eligible for 1:1 airdrop of DAPS tokens. Exchange users are encouraged to be patient for their claims to be handled. Users with least amount of Peepcoin will be distributed their DAPS tokens first, meaning we will work in ascending order. 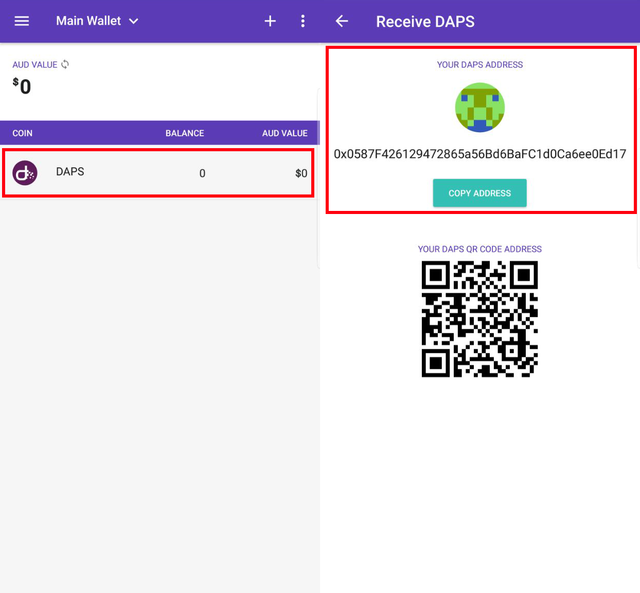 When DAPS tokens are granted, the additional 100,000 DAPS tokens bonus from the DAPS development fund will be distributed at the same time to each user not each wallet as mentioned before. Blacklisted coins and wallets will be handled at the end of the claim process. There is no official cut off date for the claim process as we want to ensure as many people as possible can rightfully claim their tokens. Unclaimed, blacklisted and other wallet leftovers are currently being consulted on as this matter is under legal advisement. Burning the tokens, redistributing the tokens, Escrow or any other decisions will be made and announced as soon as possible with an official update from us after our legal consultation is complete. There will be an official form posted and announced by DAPS Project when it is ready for claimants. We are nearly done with testing and it will be released this week. Thanks for your patience throughout this testing phase we just want to ensure that it is a smooth process for all parties involved with no errors. We are looking forward to get DAPS tokens in the hands of our community! Please make sure you read this article carefully and understand the process you must go through to prove your holdings. Please be prepared and follow the instructions to allow us to quickly process all claimants. where do we send the info to? thanks guys for the info! looking forward for the official form! Hello! Where is the "Peepcoin:DAPS claim form" I don't see the claim form link/URL in the above post? Can you share it?